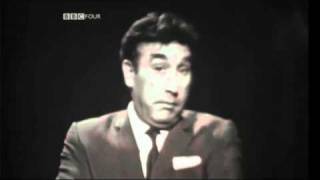 A new play about Frankie Howerd’s turbulent life has been announced today, what would have been his 100th birthday. Howerd’s End will cover the comic’s roller-coaster career, the sexuality he had to keep secret, and his unlikely use of LSD – as well as reproducing some of his stand-up routines. Although this is only the latest in a spate of plays about dead comedians, and has been made with the blessing of the Frankie Howerd Trust, producers Climar Productions insist this is ‘no hagiography’. 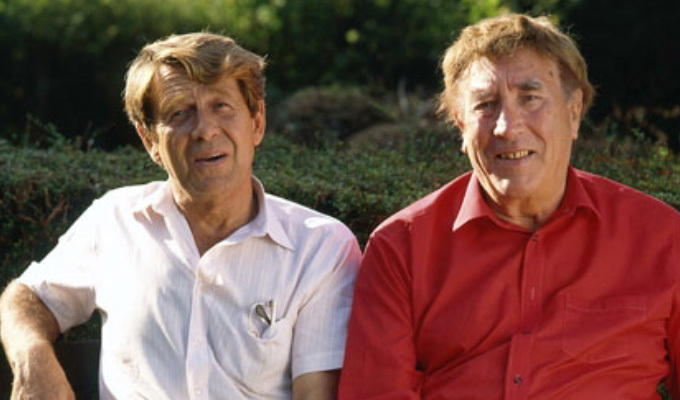 It will, they say, portray Frankie and his long-term lover Dennis Heymer as ‘they really were: insecure, passionate, lost, funny and very, very human’. Howerd’s End has been penned writer and actor Mark Farrelly – who previously wrote about another radical gay icon in Quentin Crisp: Naked Hope – and is told from Heymer’s point of view. Frankie met Heymer, a wine waiter, in 1958 at the Dorchester Hotel while dining with Sir John Mills. Howerd was 40 and Heymer was 28. Heymer would go on to become Howerd’s manager and partner, but their relationship was kept secret from the public, not least because homosexuality was illegal. The play explores whether Heymer truly was happy playing second fiddle to such a big personality, suggesting he was left ‘yearning to hear how much he was appreciated, and wondering if the love into which he had deeply fallen was, in truth, unrequited’. Set in the living room of Wavering Down, the couple’s Somerset home, Howerd’s End uses flashbacks to explore how the comic developed his unique style of stand-up. Although most famous for his roles in Carry On films and Up Pompeii!, Howerd is credited as being the first stand-up to dispense with conventional punchlines and slick patter, instead crafting stumbling, surreal streams of insecurity, based on his inadequacy and disappointment. The play will get its world premiere at Greenwich Theatre on September 12 and run for two weeks. This will be followed by a short UK tour, whose dates have not yet been announced. Casting has not yet been announced, either, but both actors will be required to play their characters over a wide age range, from youths,to septuagenarians. Howerd died on April 19, 1992, aged 75, and Heymer died on May 15, 2009, aged 79.